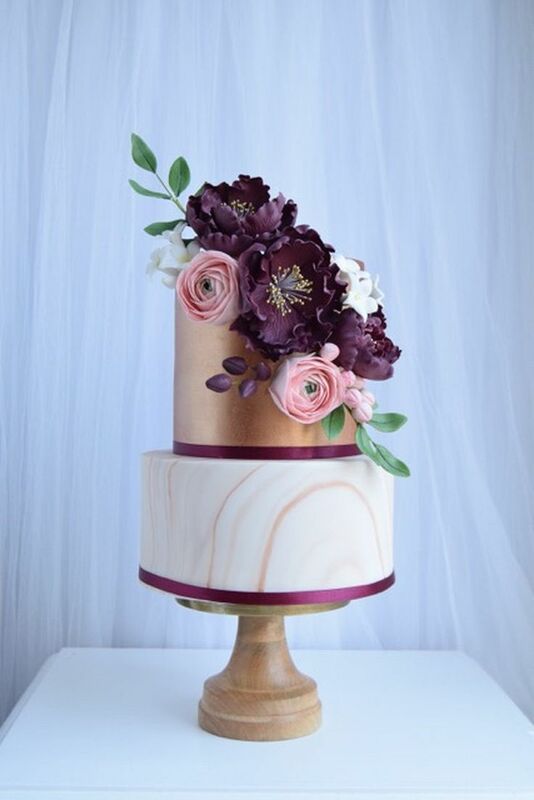 Hop on over to Pinterest and type in “marble wedding cake” and you’ll see thousands of images of gorgeous cakes, it looks as though this baking trend will be sticking around. Marble cakes are a fantastic option if you dislike traditional or vintage style cakes; if you’re looking for something a little more sleek and polished then this is the cake for you. Marble cakes work so well at minimal style weddings but they can also look incredibly romantic if styled correctly. This cake is just so pretty! 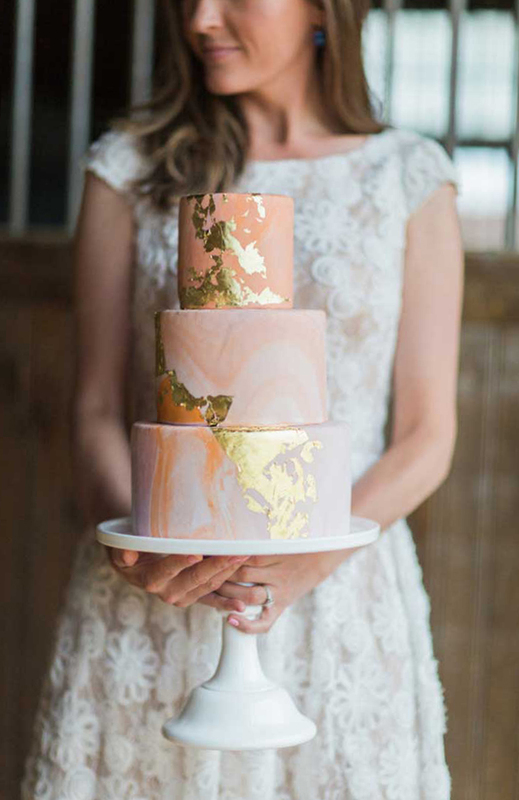 The subtle marbled texture, the blush tones and the gold leaf have combined beautifully to create a gorgeously feminine yet simple cake. A perfectly modern cake for a perfectly contemporary couple. 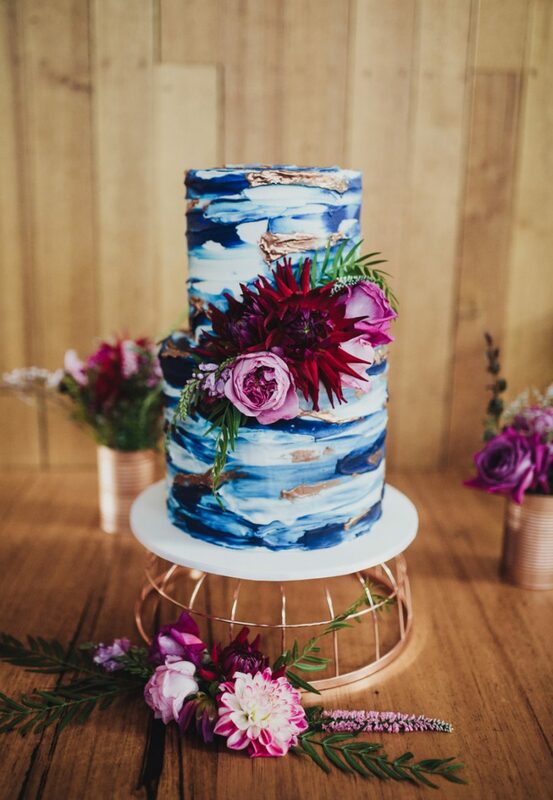 This cake looks very oceanic due to the colours and textures, and has tropical hints thanks to the relaxed marbling of the blue toned icing and the brightly coloured flowers. 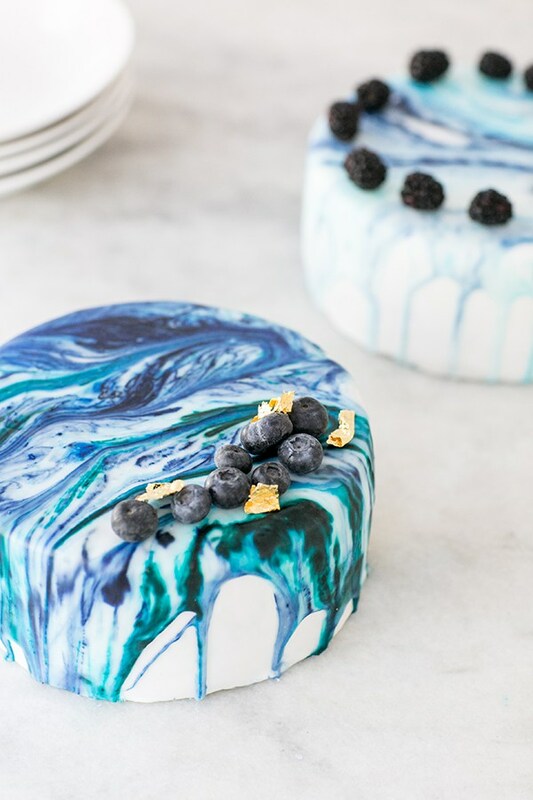 Despite most marbled cakes looking quite sleek, there are ways to roughen up the trend and create a more relaxed look. Mini marbled cakes! The marbling is subtle on these little desserts and the glimpse of sponge coming through helps add to the texture. I can imagine these sat on a pudding buffet, or in the centre of each guest’s table for them to share. This cake looks like it’s been inspired by the Art Deco period, the perfect thing for a Great Gatsby themed party. 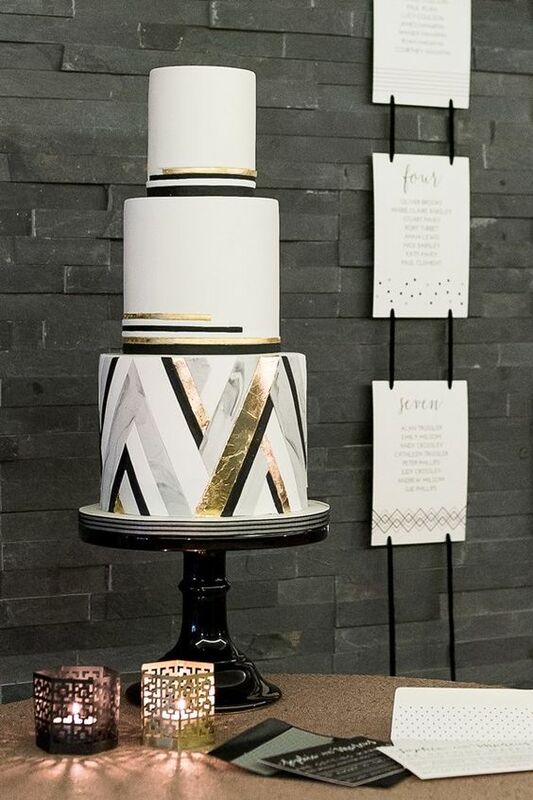 The geometric shapes and gold leaf give the cake a clean look and the black cake stand only adds to the glamour of it all. I also love that the marbling is layered, and only on the bottom tier. So subtle, so sophisticated! 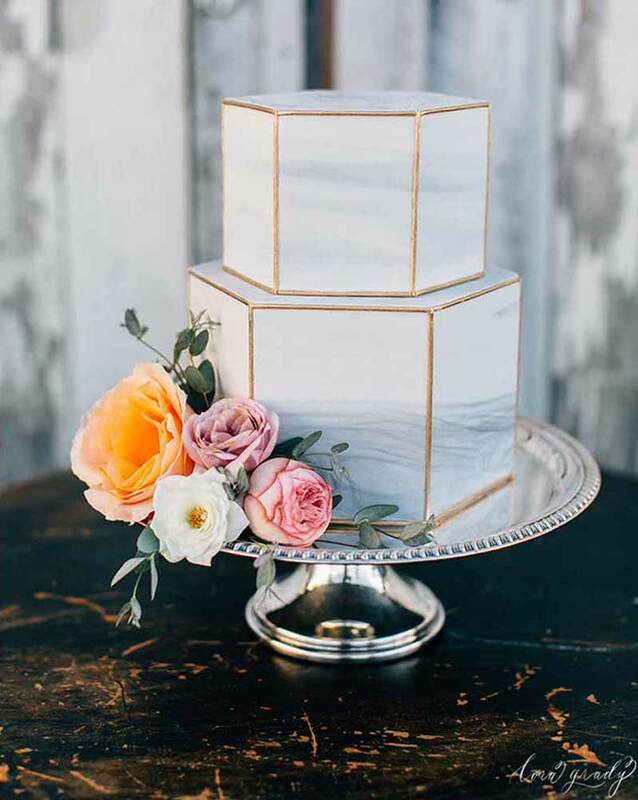 This cake proves that you can achieve a romantic effect alongside the marble trend. 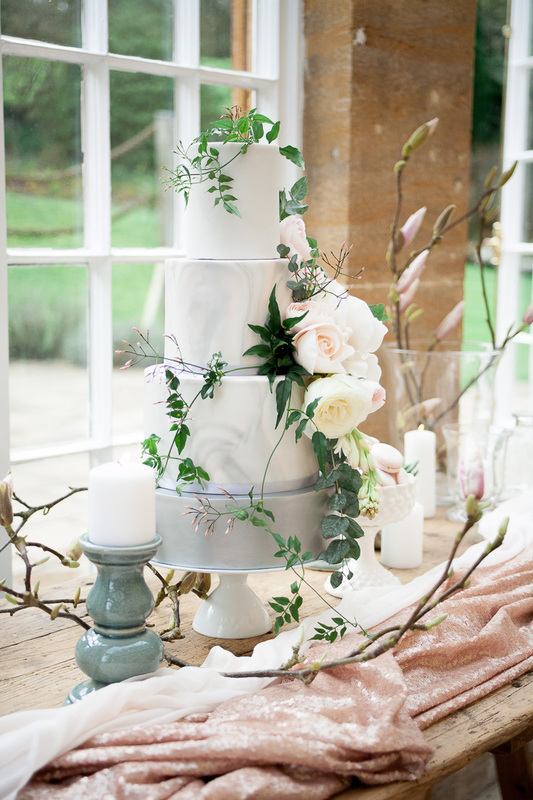 The combination of the soft grey icing, pale pink roses and trailing greenery make this cake perfect for a garden party or traditional wedding. The bottom marbled tier and the metallic copper tier on top work really well together in this cake. The simple base has been brought to life with dark purple and baby pink sugar flowers, making a nod to more traditional cake craft techniques – they’re almost too beautiful to eat though! This modern cake ticks three big trend boxes: copper, succulents and marbling. The terrariums are an added bonus. 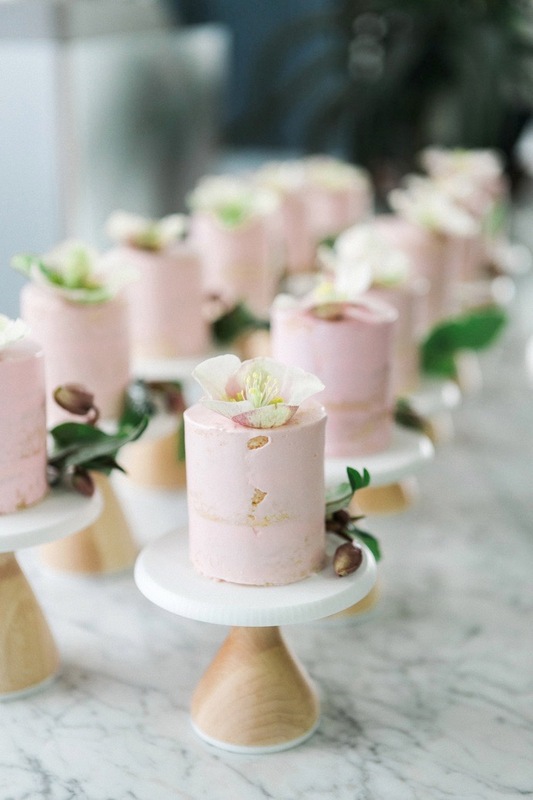 I really like how clean and sleek this cake is, perfect for a minimal wedding in a loft or warehouse – I’m picturing it in quite an urban industrial setting. The sugar succulents add a cute touch and a bit of fun, too. The warm metallic and marble combo is probably the most popular one out there, it just works so well. 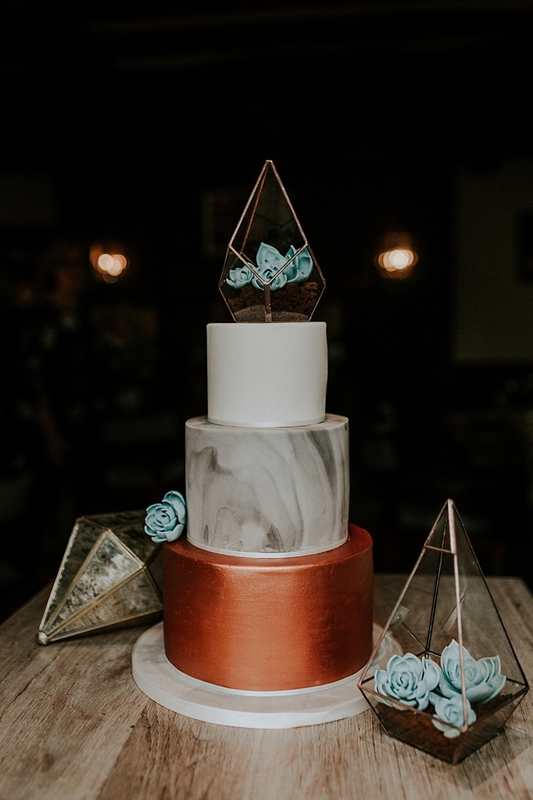 I really love how this cake has been transformed into a geometric shape, it reminds me of those glass and metal keepsake boxes that are so popular at the moment. 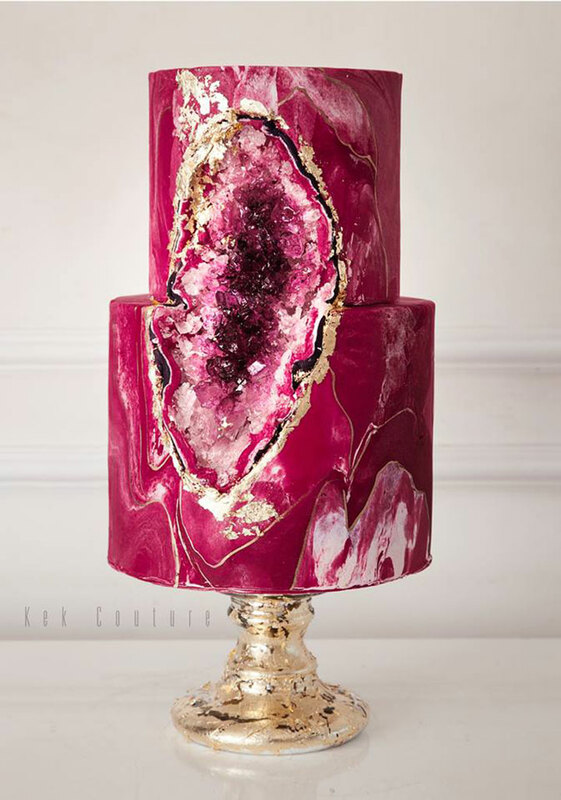 This fuchsia coloured marbled cake has been taken to the next level with the massive edible sugar geode that’s been added. This design is a real show stopper that would look stunning at a bohemian style or luxe-boho type wedding, it’s calling out for crystals and floor cushions! 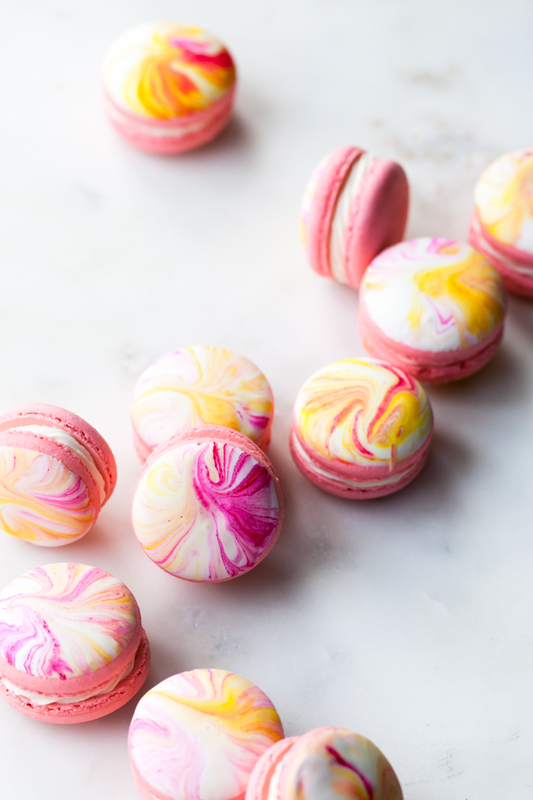 If you fancy something a little different to a standard wedding cake or you follow a gluten free diet then marbled macarons would be perfect for you. These also make adorable wedding favours or they can be popped on a dessert cart for extra wow factor. Be sure to also have a look at our Pinterest page for even more wedding cake inspo and lots of other pretty things to help you plan your big day!